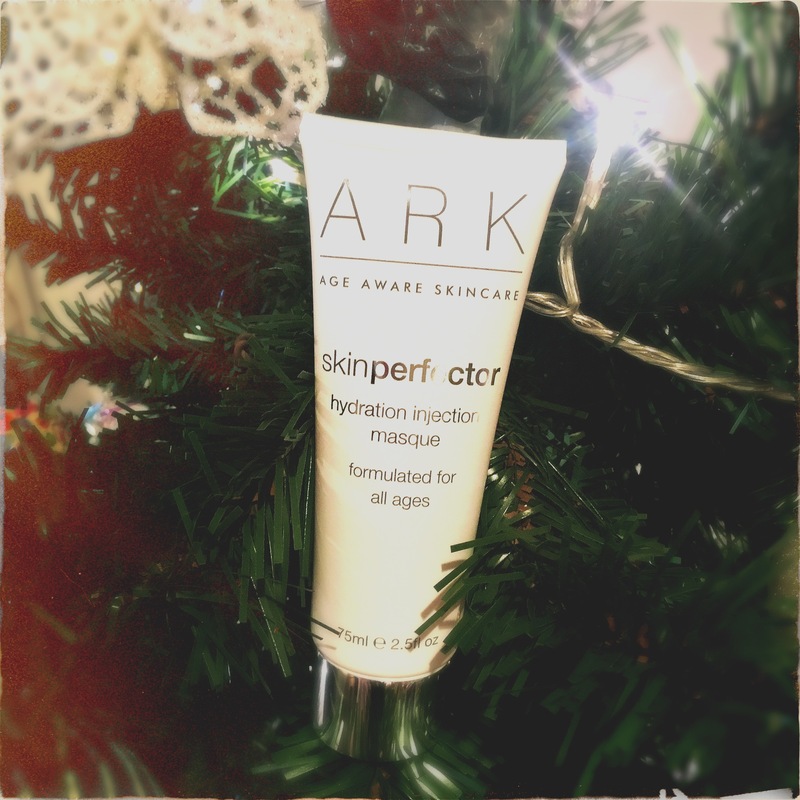 My winter wonder product from ARK Skincare – the Hydration Injection Masque – a cocktail of encapsulated vitamins. My skin really suffers with change of weather – and also in the winter going from cold temperatures outside to central heating. This masque keeps my skin feeling really balanced and nourished. Vitamin E – to prevent UV damage. For optimum results use once or twice a week. Apply to cleansed dry skin in a thin layer – avoid eye area. Leave as recommended. Teens and twenties – Leave on for 5 minutes. Thirties and forties: Leave on for 10 minutes. Fifties and onwards: Leave on for 20 minutes. I do sometimes sleep in it when my skin is feeling particularly in need of some care – particularly when flying and because the masque is clear – it’s good to put a thin layer on if you are travelling. We are giving one of these away for Christmas, so if you want to be picked please comment on the Instagram post on @blusherbloggingbeauty or below in the comments section on here – or both if you choose to! The winner will be chosen at random by ARK Skincare at 8pm on the 16th December 2016. Use code SUSIE15 for a 15% discount across the range. 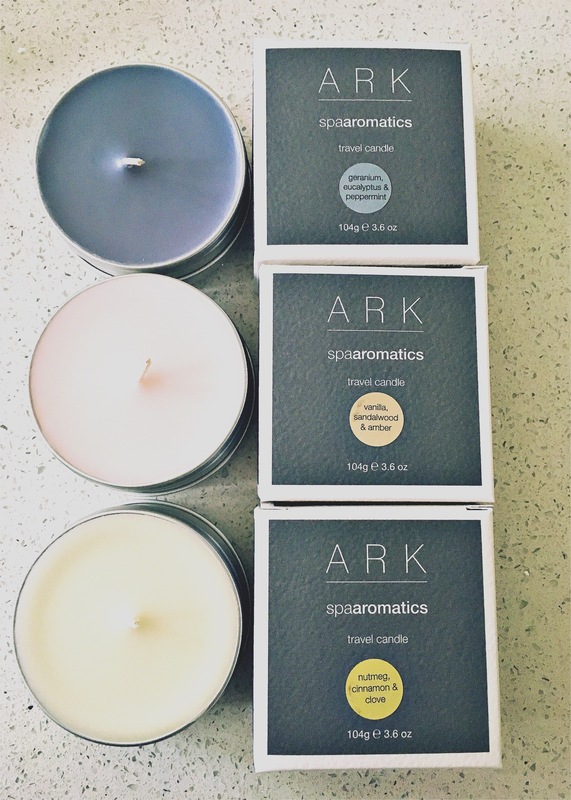 As photographed below – as a stocking filler idea – have a look at the ARK travel candles HERE – they are £15.00 and the gorgeous scent lasts for hours. They are also generously sized for a travel candle 104g and have a burn time of 22 hours. * Jane Adair was the blog post commenter who won the prize. Tamsin from Ark Skincare picked the fourteenth comment from both the blog and my Instagram. Thank you so much for entering. I would love to win this to try! Ark skin care range is fantastic. Love the radiance serum and primer and of course the masque. Really makes my skin feel radiant and soft. wow this sounds really wonderful! I really like the way you have laid out the product info and clearly explained about the product and how to use it, great photos too – thank you. Sounds amazing. Would love to try!! My skin could really do with this to survive the winter! This sounds dreamy! Fingers crossed. Would really love to try this. My stressed, partied out skin could really do with this! This would be an absolute treat! What a wonderful Christmas present! Happy New Year! Gorgeous, think my skin needs this! Fingers crossed, my skin NEEDS this! I have a few ARK products and they’re fab! Would love to try more.